Through a series of tweets published by a journalist on Sunday, the Tampa Bay Rays were tied to a move to Montreal’s Griffintown neighborhood. On Sunday, Pierre Trudel–a freelance journalist based in Canada–published three tweets reporting that Rays owner Stuart Sternberg was funding a feasibility study for a new ballpark in Montreal. The tweets–which can be seen here, here, and here–claim that Sternberg could be looking to move the Rays, with Montreal as his top choice and Griffintown being the location under consideration for a new ballpark. This is not the first time that Sternberg has been tied to Montreal. Since support for bringing baseball back to Montreal has grown in recent years and the Rays struggle to attract fans in the Tampa Bay region, the team and the city are often connected. Furthermore, the ballpark situations of both the Rays and Oakland A’s figure to factor into if/when Major League Baseball will consider expansion, for which Montreal is expected to be a candidate. 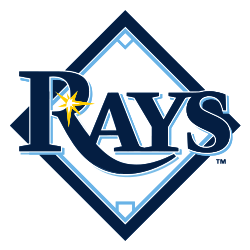 “While there continues to be speculation surrounding the Rays future, we remain committed to keeping Major League Baseball in Tampa Bay for generations to come,” Auld said. As it stands the Rays are mulling ballpark options in both Hillsborough and Pinellas counties, though a final site has not been determined and a project in either county is far from certain. However, Montreal will also have to address its ballpark situation as Olympic Stadium would likely be nothing more than a temporary venue.